Why did the EPA neglect to require active medical monitoring of workers who mix and apply toxic chemicals as part of its revisions to the Agricultural Worker Protection Standard? In particular, does its decision not to monitor handler exposure to cholinesterase-inhibiting pesticides make economic sense, or does it place too low a value on the health of farmworkers considering their decision not to require translation of safety documents? On November 2, 2015, the EPA published revisions to the Agricultural Worker Protection Standard (the “Standard”). The previous Standard has been in effect since 1992, and the new revisions “will afford farmworkers similar health protections that are already afforded to workers in other industries” when the majority of the new requirements become enforceable on January 2, 2017. Many highly sought-after revisions have been made including adding the first minimum-age requirement (18) for farmworkers applying pesticides, increasing training requirements, improving worker safety training, providing new rules on decontamination and personal protective equipment, and improving the quality of information that workers receive about workplace specific pesticides. Exposure to organophosphate or N-methy-carbamate insecticides may lower the level of available cholinesterase, an enzyme essential to the proper functioning of the nervous system. Symptoms of depressed levels of cholinesterase include blurred vision, diarrhea, tremors, seizures, loss of consciousness and even death. Monitoring cholinesterase levels in the blood through simple laboratory tests can detect cholinesterase depression prior to the onset of illness. Despite these significant health consequences and pressure from industry groups such as the United Farm Workers union, the EPA determined that the cost of routine cholinesterase monitoring for handlers outweighed the potential benefits. Major agricultural states like California and Washington have implemented such monitoring at an average cost of only $53 per year per agricultural establishment. This monitoring results in a 70% reduction in overexposures according to Washington State’s data. The EPA seems to have put substantial weight on the idea that, “the most effective approach to prevent handler exposure is to address the potential for exposure in advance of use, rather than after exposure has taken place” despite comments to the contrary from authorities including the Office of Environmental Health Hazard Assessment for the California EPA. 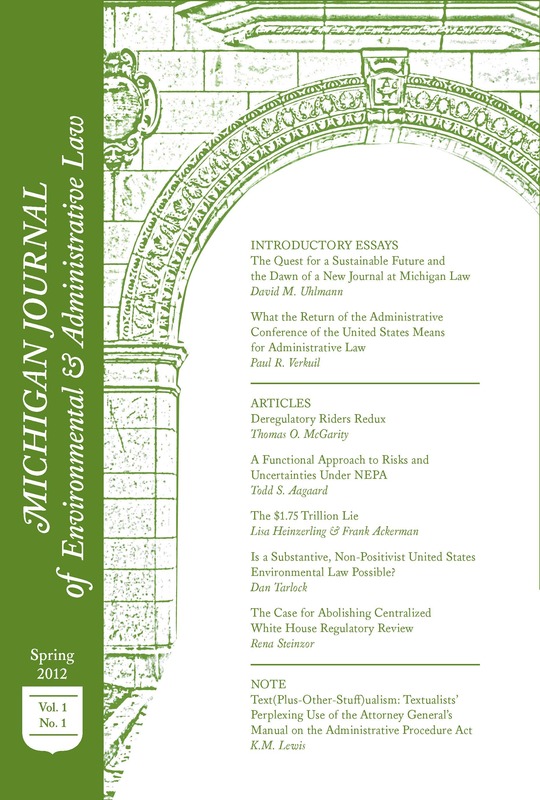 Thus, the EPA chose to implement the view proffered by commenters including the National Cotton Council that the most cost-effective approach to mitigating exposure is through product-specific risk assessments supporting the registration of pesticide products, robust handler training on specific pesticides, and effective enforcement of label requirements. This approach seems insufficient considering that, “the agency also decided not to demand that employers and pesticide manufacturers translate their safety documents into Spanish or other languages that workers may understand better than English.” How can training and label requirements mitigate harm if the people most at risk are not in a position to understand them? The EPA counters these arguments by stating that Washington state’s efforts have (already) identified the primary reasons for cholinesterase inhibition among pesticide handlers and that additional benefits from program expansion would be limited. Further, they stated that they have addressed these causes through increased training requirements, so the additional costs of a national monitoring program would be disproportionately high in comparison to the expected benefits. The $15.2 million estimated annual cost of national routine cholinesterase monitoring program may sound high in the abstract. But when viewed as a $53 per agricultural establishment per year and $120 per commercial pesticide handling establishment per year, the EPA’s calculus becomes an irrational effort to cut costs in light of the dramatic health consequences that pesticide exposure can have for some of the most marginalized populations in our society. Externalities including the substantial costs of pesticide application to human health and quality of life must be given their full weight when making economic decisions about regulations that exist for the purpose of protecting health and well being. If the EPA’s cost-analysis was performed with the necessary weight given to such factors, the outcome of its analysis would likely change to favor of investing in programs to monitor pesticide exposure. Revisions to the Worker Protection Standard, EPA (November 2, 2015), http://www.epa.gov/pesticide-worker-safety/revisions-worker-protection-standard#when. Farmworker Justice’s Statement on EPA’s Worker Protection Standard, Farmworker Justice (September 28, 2015), https://www.farmworkerjustice.org/press/farmworker-justices-statement-epas-worker-protection-standard. Agricultural Worker Protection Standard Revisions, 80 Fed. Reg. 67496 (Nov. 2, 2015) (codified at 40 C.F.R. 170). Geoffrey Mohan, Farm worker pesticide rules tightened, Los Angeles Times (September 28, 2015), http://www.latimes.com/business/la-fi-farm-worker-pesticides-20150928-story.html. Sara A. Quandt et al., Longitudinal Assessment of Blood Cholinesterase Activities Over 2 Consecutive Years Among Latino Nonfarmworkers and Pesticide-Exposed Farmworkers in North Carolina, Vol. 57, Issue 8, August 2015, Journal of Occupational & Environmental Medicine, at 851, 857. Dan Charles, EPA Announces New Rules to Protect Farmworkers From Pesticides, NPR (September 28, 2015, 6:09 PM) http://www.npr.org/sections/thesalt/2015/09/28/444220963/epa-announces-new-rules-to-protect-farmworkers-from-pesticides. Cholinesterase, Washington State Department of Labor & Industries (January 24, 2016), http://www.lni.wa.gov/Safety/Topics/AtoZ/Cholinesterase/. Cholinesterase, Washington State Department of Labor & Industries (January 24, 2016), http://www.lni.wa.gov/Safety/Topics/AtoZ/Cholinesterase/; California Medical Supervision Program, California Office of Environmental Health Hazard Assessment (January 24, 2016), http://oehha.ca.gov/pesticides/programs/Helpdocs1.html. Geoffrey Mohan, Farm worker pesticide rules tightened, Los Angeles Times (September 28, 2015), http://www.latimes.com/business/la-fi-farm-worker-pesticides-20150928-story.html. ; Agricultural Worker Protection Standard Revisions, 80 Fed. Reg. 67539 (Nov. 2, 2015) (codified at 40 C.F.R. 170). Agricultural Worker Protection Standard Revisions, 80 Fed. Reg. 67538 (Nov. 2, 2015) (codified at 40 C.F.R. 170). Adriane Busby & Gabriel Eckstein, Organophosphates, Friend and Foe: The Promise of Medical Monitoring for Farm Workers and Their Families, 27 UCLA J. Envtl. L. & Pol’y 39, 39 (2009). Adriane Busby & Gabriel Eckstein, Organophosphates, Friend and Foe: The Promise of Medical Monitoring for Farm Workers and Their Families, 27 UCLA J. Envtl. L. & Pol’y 39, 65 (2009). Agricultural Worker Protection Standard Revisions, 80 Fed. Reg. 67539 (Nov. 2, 2015) (codified at 40 C.F.R. 170).